Western Pennsylvania isn’t known nationally for large perch. However, we do have a few lakes that harbor slab-size perch. The perch are active all year, and with trout stocking few-and-far between right now we’ve been spending time targeting them. To be honest since I’ve been playing with Fire Dye minnows so much lately it’s forced me to target more species because I want to see what will eat them. After this last trip it’s obvious the perch and smallmouth are on board. While experimenting with dyed minnows the last few days we focused on a local, public reservoir that has perch and smallmouth. Neither would leave the live dyed minnows alone. We caught perch from 10-12 inches and smallmouth that averaged 12-15 inches. Action was steady from start to finish. My buddy caught one first cast. It never slowed from there. We fished exclusively with live minnows and didn’t start to dye them with the Fire Dye until we got to the lake. We only used Chartreuse Fire Dye because we only wanted to carry one bucket with us. I had used Red Fire Dye on some at the house and it worked get, but it was a long walk in and I wasn’t about to carry two minnows buckets and our gear. I poured in the Fire Dye on the bank and within a few minutes the minnows starting taking color. The fins started talking color right away, but it took about an hour for the entire bait to turn bright chartreuse. Normally, I use a smaller minnow container that wraps over my shoulder, but this time I used a one-gallon bucket that was roughly three-quarters full of water and I poured an entire bottle of Fire Dye in. We fished the minnows below a float near the bank. We didn’t have a boat and walked the bank while casting these minnows towards bass and perch that were staged on the mud flats looking for food. We found most fish on points. I used Trilene six-pound test and fished the minnows on a 1/32 ounce jig head. We ended up going through five-dozen minnows in four hours, all of which were in that one-gallon bucket, and all chartreuse. 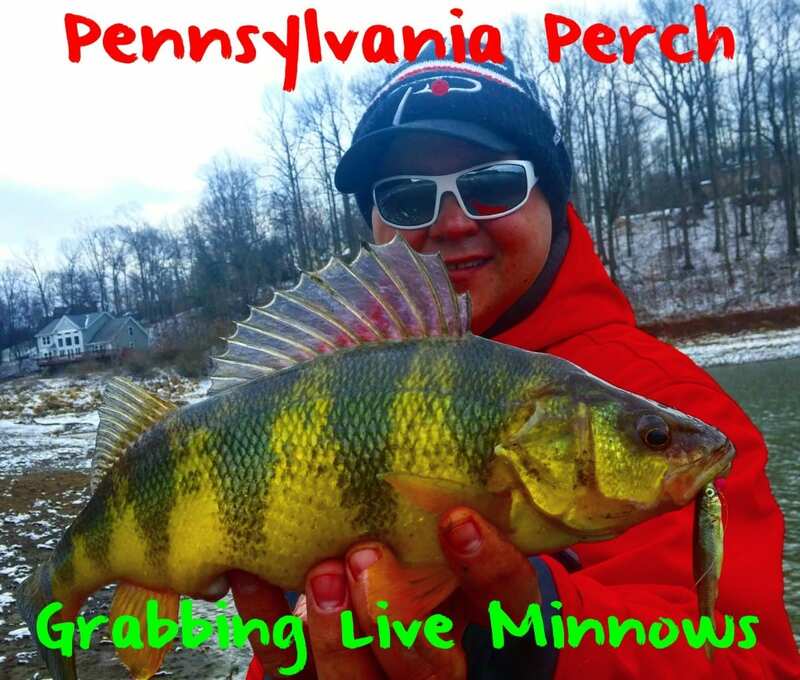 It’s no secret there’s perch scattered across Western Pennsylvania. I’ve had success at High Point Lake, Lake Arthur and Pymatuning Reservoir (which is on the Ohio/PA border) for perch, but there’s an endless number of waters that hold perch. After what I experienced today this technique should work in all of them. Editor’s Note: Joey Usher is the founder of SWPA Fishing. For more information please visit https://www.facebook.com/SWPAFishing.